Last month, the EC had announced that the Gujarat polls would be held in two phases -- on December 9 and 14 -- and the counting of votes would be taken up on December 18. Last month, the EC had announced that the Gujarat polls would be held in two phases. 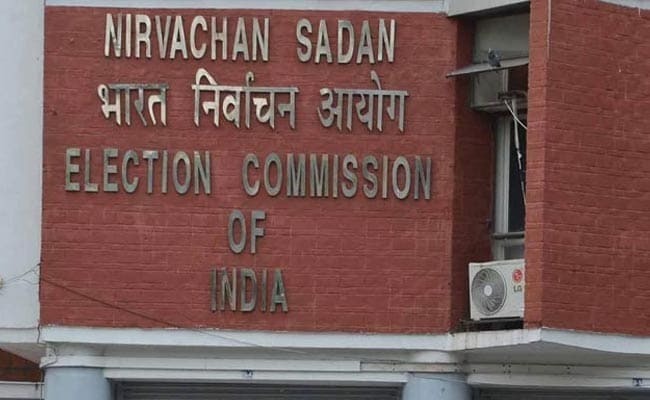 Ahmedabad: Three Independent candidates filed nominations Tuesday after the Election Commission (EC) initiated the poll process by issuing a gazette notification for the first phase of the Gujarat Assembly election. On the first day of nomination filing, three Independent candidates filed their papers for the Bhuj, Talaja and Bhavnagar West seats, a release issued by the Gujarat chief electoral officer said. The last date of filing nominations for the first phase of the polls is November 21. While both the major parties, the BJP and the Congress, are in the last lap of finalising their candidates, the Aam Aadmi Party (AAP) has already announced the names of 11 of their nominees. visit Delhi tomorrow and hand over the list to the central parliamentary board for a final decision," he said. Congress spokesperson Manish Doshi said the party was "likely to announce the first list of candidates on November 16". As many as 89 of the 182 Assembly seats in the state, covering 19 of its 33 districts, will go to the polls in the first phase.